- Utility to choose your interface and your garage! - Added 'edit grid' command from qualifying offline. - Added chat commands from the main menu. - Added chat commands from 10 to 12. - Recall commands hidden rFactor, Spotter, Telemetry, Realfeel. - Various changes in the menu on the gearbox and tires in the garage. - Recall of the Upgrade installed in the garage, not of possibilities of making a change on this level! 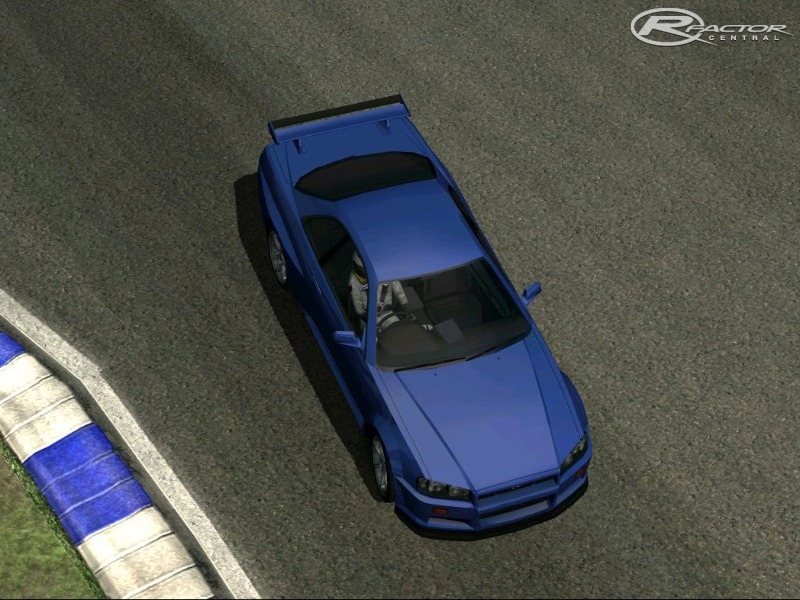 - It will not have other versions as long as ISI does not release a new rFactor, for FFB menu part, there are no other commands available (as far as i know) , therefore if you find news ones, please let me know. - 3) and a customisable one. - Integration of the essential settings in the free practices and races (weekend) ' control'. - menus Optimizations, makes it possible to gain until 5s in the loading! - 4 free practices available in race, which were already available in the preceding versions. - commands Recall CTRL F & CTRL R in the steeringwheel settings menu. - estimated top speed Recall in the gearbox adjustments part. - Added chat commands from 7 to 9. - Removal of the side bars on the menus, with possibility of being able to have them by removing the files Static_Overlay0000.TGA & Static_Overlay_Monitor0000.TGA in Game_Fr.MAS file (not to remove the .MAS file!). - special Menus for 3 leagues (PilotesOnLine - RésoTM - GPF1 Racing OnLine) - not included in the patch. - And still the menus for Frank#55's (HRC) & NFR's (ETCC 2003) mods. - having no permission for ctdp team, i cannot deliver the CTDP05 & CTDP05 SE menus to you. - menus for ETCC2003 (TEAM NFR) and HRC (Frank#55) mods updated with their kind authorizations. - Modifications of Replays: laptimes, speed, driverchange etc. - Repositioning of the Replays on the menus. - display of the menu to confirm that you leave the session, reviewed. - Possibility of adding credits of the circuits on this page ('nametrack'credits.tga) in track dependent. Width_Height=(300,200). this website is proud of its staff, because thanks to them we have become recognizable. If you still doubt the choice, read about our feedback and you will convince us that we are the best service for you. Nice post. I'd get a kick out of the chance to stamp like this excessively alluring occasion and genuine diligent work to make a huge article. To a great degree appealing website. A great deal of online journals, I see nowadays don't generally exhibit anything that I'm keen on administration .However I'm without a doubt enthusiasm for this one. I am in all actuality content with article quality and direction. This post (website) is right on the money in edifying how some belief system applies to any writing position. You rock for conservation colossal stuff. I am extremely thanks to say that because it is more helpful to everyone .